8. What Are You Doing New Year’s Eve? After the new owner of A&M Records, PolyGram, acquired the label’s catalog, they decided to license out some of their recordings to the likes of outfits like Time-Life and Reader’s Digest. These companies were eager to market big name acts like Carpenters in order to potentially boost sales of their other concerns. This action was not unprecedented; even in the Alpert-Moss era they licensed out recordings all the time to Longines Symphonette, Reader’s Digest, etc. Time-Life put out this Christmas effort in 1992. While Richard was undertaking his massive remix project, he included the CHRISTMAS PORTRAIT recordings, with some of them appearing for the first time on the FROM THE TOP box set. These are the ones with the “1990 remix” label. Others appeared here for the first time, and get a “1992 remix” label. 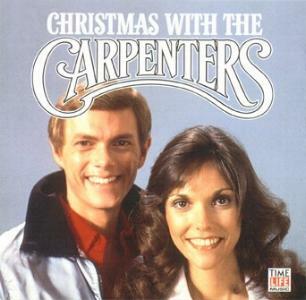 Fans were eager to straighten out the CHRISTMAS PORTRAIT anomaly – the fact that that CD had been altered to include selections from the second album. This disc helped, but still didn’t cover all of the recordings on CHRISTMAS PORTRAIT. It DID however include a remix of “Merry Christmas Darling” that’s never appeared anywhere else. It has the typical stereo piano re-record along with heavier reverb on Karen’s vocal.